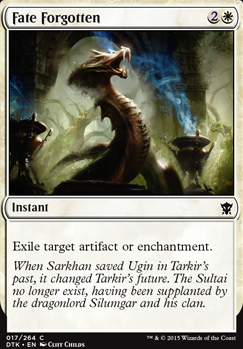 Exile target artifact of enchantment. Forsake the Worldly in place of Fate Forgotten? I do not play Standard but I have to say, for the format, you have done Fate justice because your opponents are not going to like this deck! I would have put more of Fated Retribution and Fated Infatuation in. Fate Forgotten, Weave Fate ,assuming they're still Standard legal, are also good to consider. Flavour is there and it is a nasty looking deck. I hope my suggestions have helped! 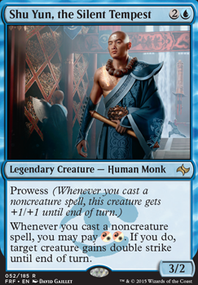 If you want to see how I made Fate in Commander, you are welcome to assess my Morai deck. Fate Forgotten should be Disenchant. Consider Detention Sphere instead of Prison Term. Deck looks much much better than before. Win cons: Currently my major win cons are the two Aetherlings, but I know there is a lot more I could play with. Mana base: I can't afford Celestial Colonnade yet, besides that how else do you think I could improve my mana base? Creatures: Should I cut more creatures out for more counters? 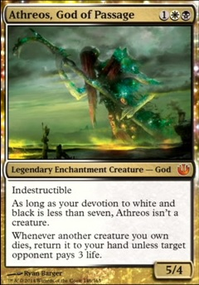 More cantrips? Cantrips: Do I need both Opt and Serum Visions? What about Sleight of Hand? Counters: Besides the obvious Cryptic Command, any idea how I could improve my counter base? 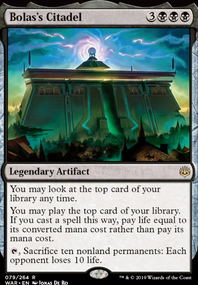 Enchantments: Detention Sphere or Ixalan's Binding? If any of you need help as well, I would be nore than happy to provide it! :) Happy holidays! 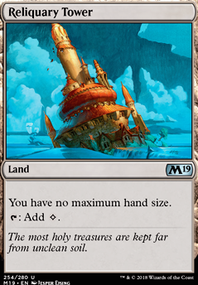 You should definitely cut down on lands. You're in Boros so your ability to draw gas is limited. You also have plenty of rocks. Most decks should run 37-39 lands , but with yours I would consider going as low as 36. I also would cut Humble Defector, Temple Bell, Artisan of Kozilek, Vance's Blasting Cannons Flip, Sunbird's Invocation and Fate Forgotten. 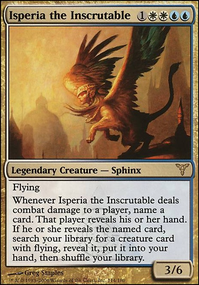 Among the replacements I would suggest are Thran Dynamo, Dictate of Heliod, Wear / Tear, Commander's Sphere, Volcanic Offering, Boros Charm, Chandra, Flamecaller, Sunforger, and Caged Sun. 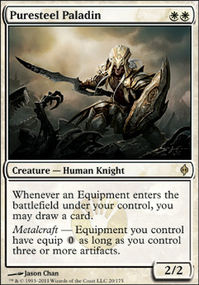 And DEFINITELY add Skullclamp, which might become the strongest card in your deck. It's been a long while since I've updated this deck. However, in all my new set scanning, I'd say that Axis of Mortality is the insane jank that this setup yearns for. Thank you for the updates, Rabid_Wombat and Suprek. CynicalDog - I dig the idea behind Pestilent Souleater, I'll see if I can find a slot to test it with! Cast Out - Banishing Light with cycle. 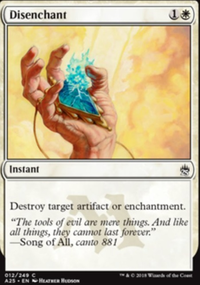 Forsake the Worldly - Solid artifact/enchantment removal that is superior to Fate Forgotten. Painful Lesson - It's not Read the Bones, but there is potential. Restoration Specialist - 2 mana creature that can recur artifacts/enchantments, easy fit for this build. If anyone has any additional thoughts regarding their own iterations of this deck, don't hesitate to provide your own suggestions. htfilm I agree on almost everything you said, and I added cluestoned, and much other draw land cards. I also got rid of Blood Baron, and I replaced Fate Forgotten for Forsake the Worldly. Many other people also gave me suggestions, now I am a tight spot as I need to cut and only cut or maybe replace cards that put me at 100.